This takes longer to read than to make, so bear with me. Make a huge soup kettle of this basic mixture and freeze it in batches suitable for your family. 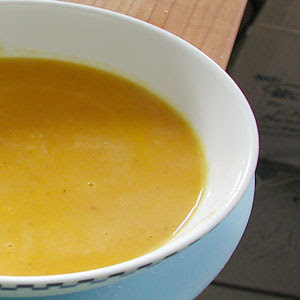 Each 3/4 cup of mix makes a two-cup serving of soup after “completers” are added. Enlist the family to peel and chop or just put everything through the food processor. Heat the oil in a big kettle and add vegetables gradually, stir-frying over high heat. When vegetables are limp, add the broth and tomatoes, cover, reduce heat and simmer until everything is tender. Soup will be thick. Freeze in batches to suit your family. * The more variety, the more colorful the soup. ** Chicken, vegetable or beef broth, store-bought or homemade. * Protein: canned chunk chicken, ham or turkey. Diced tofu. Diced leftover meat. Canned beans (unseasoned). Sausage crumbles, real or vegetarian. * Starch: cooked rice, diced potatoes, noodles, broken spaghetti, tortillas cut in strips. * Flavor makers: Add Italian seasoning to taste and garnish with shaved Parmesan. Add chili powder and diced chiles for a Mex-Tex touch. Pass sherry, hot sauce or Worcestershire. Top soup with showers of minced parsley or cilantro. Top with oyster crackers and pass the sherry. Or, just add salt and pepper.